A good number of you were curious about the tofu and amaranth salad pictured next to these chive pancakes a few weeks back. Apologies for taking so long to write it up! The salad was inspired by two things. I wanted to make something with crunch, structure, and creaminess to go along (or inside) the paper-thin chive pancakes. And, I wanted something fresh, with a nice protein component - enough to make a meal of. I picked up beautiful little gem lettuces, fuchsia amaranth leaves, ripe avocado, and flowering basil. The dressing was coconut milk based. I used a partial can for the crepe batter, and didn't want the rest to go to waste, so it ended up in the dressing. I'm imagine a coconut green goddess dressing would also be great. 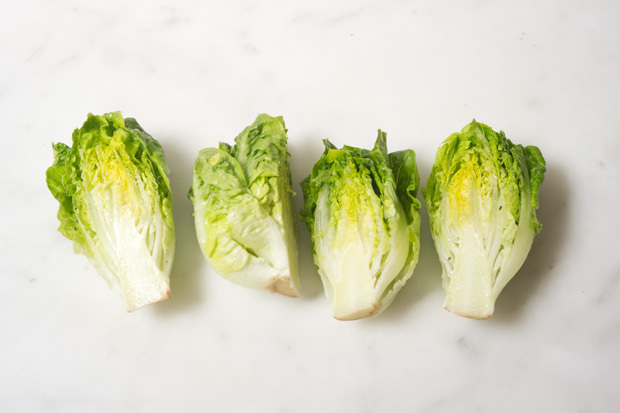 HS: If you can't find little gems, any structured lettuce will work here - baby romaine would be a nice substitute. Start by making the dressing. In a mortar and pestle, smash the garlic and chile flakes into a paste along with the salt. Alternately, you can use a food processor. Add the oil and the scallions, and smash or chop a bit more. Transfer the mixture to a jar or bowl, and whisk in the coconut milk, then the lemon juice. Taste, and adjust with more salt or lemon juice if needed. You can store the dressing in a refrigerator for up to a week. 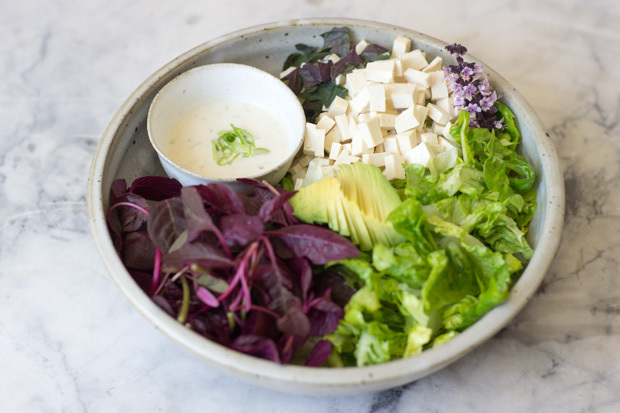 Be sure your lettuce and amaranth is well washed and dried, then combine in a bowl along with the tofu and basil. Toss gently. You can either dress at this point or serve the dressing to the side. Add the dressing a bit at a time, until the lettuce is coated to your liking. Taste, and salt, if needed. Add the avocado last and give the salad once last gentle toss. A few snapshots from Mexico City & an avocado salad - thinly sliced avocado arranged over simple lentils, drizzled with oregano oil, toasted hazelnuts, and chives. Perhaps the best salad I've had in the past year. And, unless you absolutely loathe cilantro, you must try it. Simply cilantro leaves and stems tossed with a simple shallot-forward soy sauce dressing, plus peanuts, and asparagus. So good.